Unfortunately, it happens: A low appraisal can complicate an already bumpy home-buying process. Suddenly, you find yourself in a conundrum: Your bank will fund a loan only up to the appraised value. So do you walk away from the sale? Do you fork over more money to cover the difference? Do you crawl into the corner of the apartment you fear you'll rent forever and cry your little eyes out? We know you have home-buying agita—and we're here to help. There are ways to deal with a low appraisal—but only if you know why it happened. Behold the 9 most common reasons for a low appraisal, according to our expert sources. To appraise the value of a property, appraisers rely heavily on comps, which are prices paid for similar homes sold recently. But the appraiser could select comps of homes that sold for mysteriously low prices. Appraisers don’t normally officially inspect the comps, says Peter Grabel, managing director of Luxury Mortgage in Stamford, CT. They wouldn’t know if there was a mold issue, asbestos, or a nasty divorce that led to a quick below-market sale of a comparable home, skewing the analysis. Sometimes there isn't enough data on sales of similar homes in the area, forcing the appraiser to use comps from a nearby—and possibly less desirable—community, Grabel says. Ideal comps should be similar in style, size, location, and view. Does your home have a knockout view—or, at least, one that's better than the comp down the street that overlooks unsightly power lines? If so, make sure your appraiser knows it, too. If the difference in view is not obvious, your home could appraise for lower than expected. The house has a large, beautiful finished basement with a bedroom and a bathroom. You've doubled your square footage. Score! Unfortunately, appraisers are required to use much lower value per square foot for space below ground. Surprisingly, a pool, tennis court, and high-end landscaping are attractive features, but they frequently don’t lead to significantly higher valuation on appraisals. Here's why: When an appraiser compares two otherwise identical homes, one with the amenities and one without, the difference in their selling price is typically not nearly as much as the cost of adding these features—especially when the amenities are of better quality than is standard for the area. For example, if you spend $200,000 to install a pool, but other homes in neighborhood have $50,000 pools, the difference in quality is not likely to appraise well. So be prepared for a lower value than expected if the property has one or more of these types of features. Upgrades and finishes might not always boost the value of your home. This is particularly true of co-ops and condos, where the square footage plays a major role in value. Home prices in the area might be increasing so quickly that the comps that sold six months ago don’t yet reflect this improvement. “In Brooklyn and in Harlem, for example, prices are soaring, properties are selling for a record price per foot,” Grabel says. 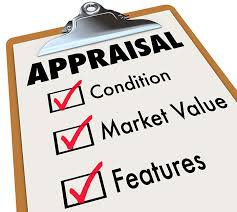 Appraisals, by their nature, are backward-looking. 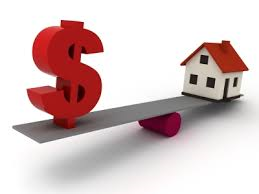 You can ask the appraiser to make a “market adjustment,” but they don't have to do it. There are many reasons you might overpay for a home: You might just fall in love with the place and want to make sure you get it—at any cost. Remember, the bank is going to lend only the appraised fair market value, and not the higher price you might think it's worth. So you'll be left paying the difference yourself. It’s an emotional choice, and we're not here to judge. 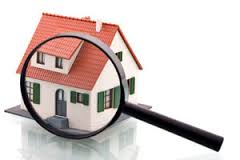 But your appraiser will, and just beware: What the appraiser says (usually) goes. Sometimes, it really does come down to a job not well done. The appraiser could be unfamiliar with the nuances of the local market or might simply rush through the job. Unfortunately, a home buyer obtaining a mortgage has no control over the appraisal selection process—your lender is the one who orders the appraisal, either directly from an appraiser or through an appraisal management company. Worried about getting a dud? You can ask your lender how it selects appraisers or if there's a particular company it uses—then do your homework.